What are the Best Asphalt Shingles? Are Asphalt Shingles Right for Your Climate? Asphalt roof replacement cost is influenced somewhat by geography but mostly by regional differences in labor cost. Making asphalt shingles even more desirable is the fact that they can be applied directly over old shingles, providing the roof deck is in good condition. If there are already two or more shingle layers on your existing roof though, it is HIGHLY advisable to remove the old layers before applying new shingles. The average roofing installation price for an asphalt shingle roof costs anywhere between $5,000 to $8,000 depending on the slope, pitch, and size of your roof. You can expect to pay $1.50 to $5.50 per sq. foot or $150 to $550 per square installed on a standard sized single story home. Get local costs below. Asphalt shingles are the most common type of roofing material installed. They are budget-friendly, lightweight, durable, and come in a variety of styles. Asphalt shingle roofing comes in two varieties–fiberglass and organic mat-based, but what are the best asphalt shingles for your home? It really depends on what your priority is for your roofing project. 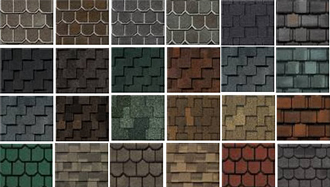 There are different quality asphalt shingles that vary in pricing, durability, and design style. Three Tab Asphalt Shingles – These common roof shingles are distinguished by cutouts—tabs—made along their long lower edge. The result is that each shingle looks like three separate pieces when installed, but it’s only one. Architectural Asphalt Shingles – These roofing shingles contain no cutouts, but their lower portions are laminated with an additional asphalt layer. This creates the contoured, dimensional look that gives them their name. Asphalt sealant bonds the layers, reinforcing the shingles’ waterproof capability. Though durable, architectural shingles are not recommended for low-sloping roofs, which are more vulnerable to wind-driven rain. Luxury or Premium Asphalt Shingles -Luxury premium shingles replicate the high end natural slate and cedar shake roofs but at a much lower price. Natural Wood Shakes and slate are more expensive to install and involve an extended roofing installation labor. A slate roof may cost as much as 10 times that of architectural laminate shingles. Fiberglass shingles are made of a woven fiberglass base mat, covered with a waterproof asphalt coating, and topped with ceramic granules that shield the shingles from harmful UV rays. Because of the composition of the fiberglass mat, less asphalt is needed to give the shingles their durability and strength. The result is a lighter weight and thinner roofing material. Fiberglass shingles also have a higher fire rating than organic varieties and generally carry a longer warranty. Organic mat-based shingles are made from a recycled layer of felt paper (asphalt-saturated for waterproofing) and coated with adhesive asphalt into which the ceramic granules are embedded. With 40 percent more asphalt than their fiberglass counterparts, the traditional organic mat-based shingles are heavier, thicker, and more costly. While organic shingles are considered more rugged and more flexible, they are also more absorbent and can warp over time. Regardless of whether they are fiberglass or organic-based, asphalt shingles generally measure 12 by 36 inches. 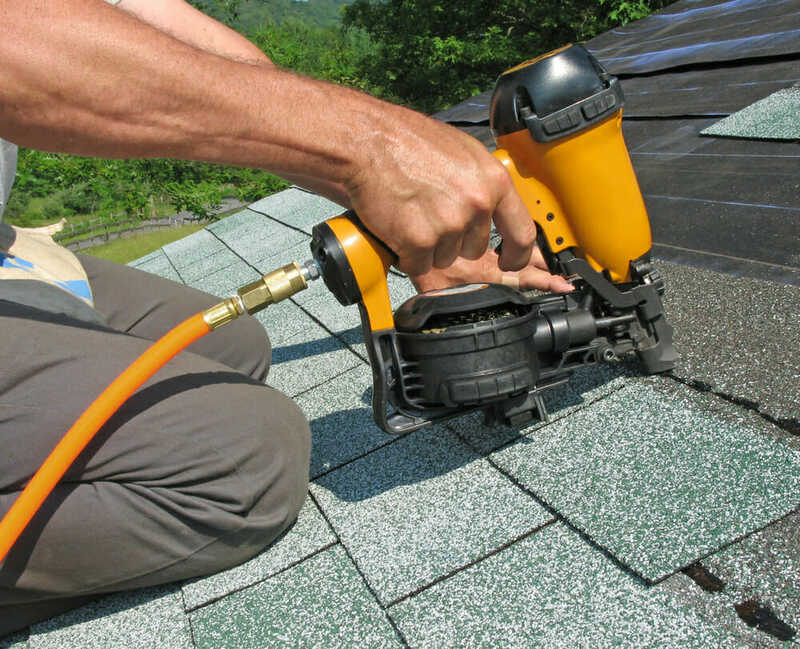 Begin your asphalt shingle installation by laying a row of starter roofing shingles along the lower edge of the roofline and nailing them down using the roofing nails. 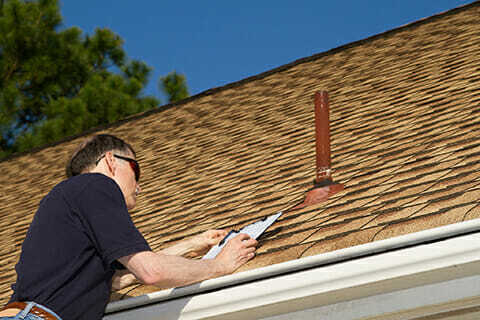 With the starter asphalt shingles laid along the very edge of the roof, run a set of starter shingles along the sides of the roof as well, making sure that those rows come down and overlap the starter shingles you laid at the very bottom of the roof. Do this on both sides of your roof and then install ridge cap shingles over top of the ridge. Start at the left side of the ridge and nail the first shingle on the right side. Lay the next cap architectural shingle over the first so it covers that nail and nail it in the same way on the left side. Continue this all the way to the end of the roof. Seal the nail holding the final cap shingle with a bit of roofing tar to help prevent water from getting in. * See the full details on installing asphalt roofing shingles in the article mentioned above. Asphalt shingle roofing usually lasts up to 20 years, while architectural asphalt shingles have a longer lifespan of 30 to 50 years of durability. Asphalt shingle manufacturer warranties currently guarantee asphalt shingles a 15- to 30-year useful life. The large variance in those warranties are typically based on climate, weather, and other environmental factors. Homeowners in areas enduring long summers with high heat may need to replace roofing sooner than homeowners in cooler regions. In areas known for severe winters, ice may aggravate tiny cracks and fissures. Algae and fungus growth can also be potentially damaging for roofing in perennially damp or subtropical areas. Algae-resistant shingles are available. The ceramic granules on the shingles are coated with leachable copper to prevent discoloration and long-term damage from algae and moss growth. Keep in mind though, this protective treatment can add 10-15% to your materials budget. Asphalt shingle manufacturers are also adopting energy-saving, cool-roof technology to help reduce the amount of heat absorbed by the roof. Look for shingles with Energy Star ratings and you can significantly reduce the cost of cooling your home. Though your asphalt shingle roof should last 15-30 years, it is not necessarily a great environmental choice. Traditional roofing products contribute an estimated 20 billion pounds of waste to U.S. landfills on an annual basis. Asphalt shingles do offer the possibility of being reused or recycled with uses in hot mix asphalt, cold asphalt patching, and as a fuel in cement kilns, but asphalt naturally contains polycyclic aromatic hydrocarbons, some of which are carcinogenic and may put recycling workers at risk. If your existing roof has less than two layers of shingles on it, you can reduce the amount of waste generated by your upgrade (not to mention the demolition cost) by layering your new roof on top of the existing structure.